Hall no. 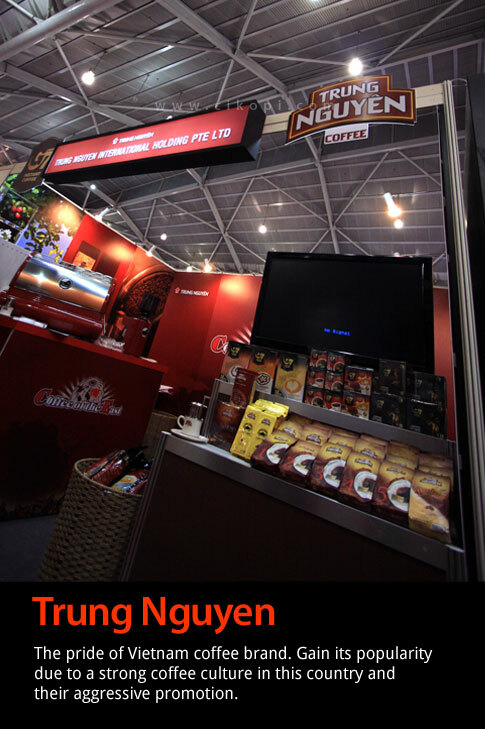 4 in Singapore Expo was everything about coffee, espresso machine, coffee grinder, barista gear, and items related to this beverage. 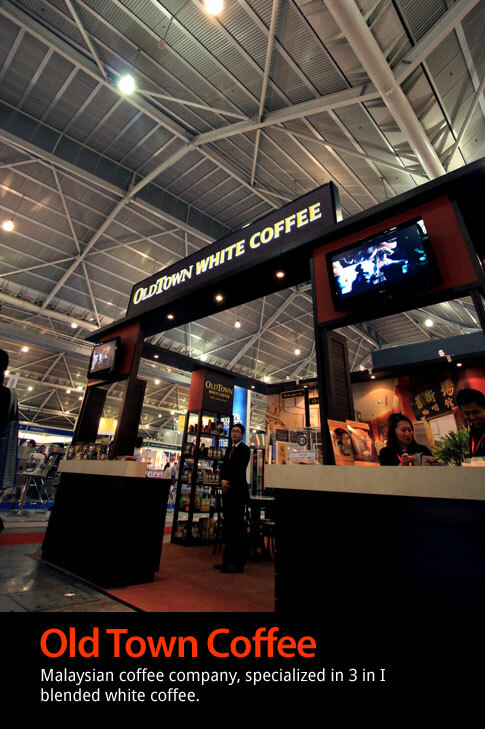 As some of you may have noticed, I was in Singapore last week, the first overseas trip of cikopi.com visiting the 12th Food & Hotel Exhibition along with Asia Barista Championship which had been posted in this blog. 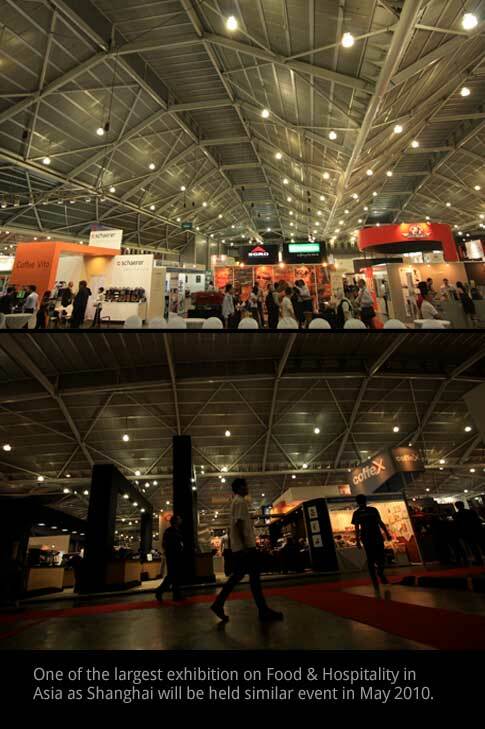 The venue is located nearby Changi airport with less than five minutes ride with Singapore’s convenient MRT train. I was lucky to have an admission ticket; otherwise I had to purchase S$ 80 ticket, which only valid for a day visit only. 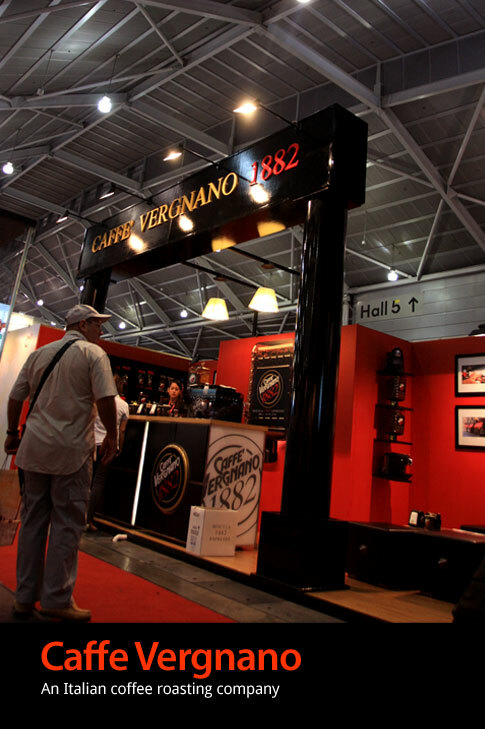 So, cheerfully, I began to explore each one of the booth. 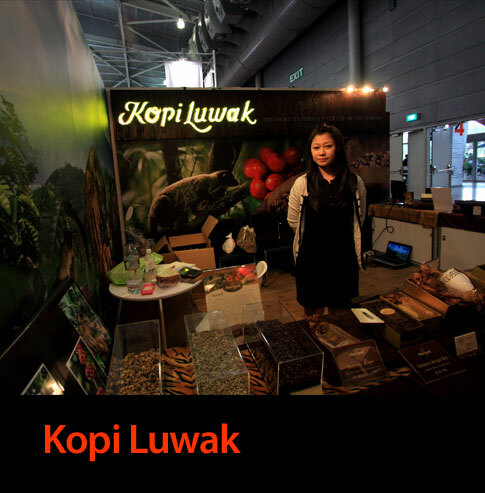 I was also very delighted to meet some of the famous products which are the key players in coffee industry. 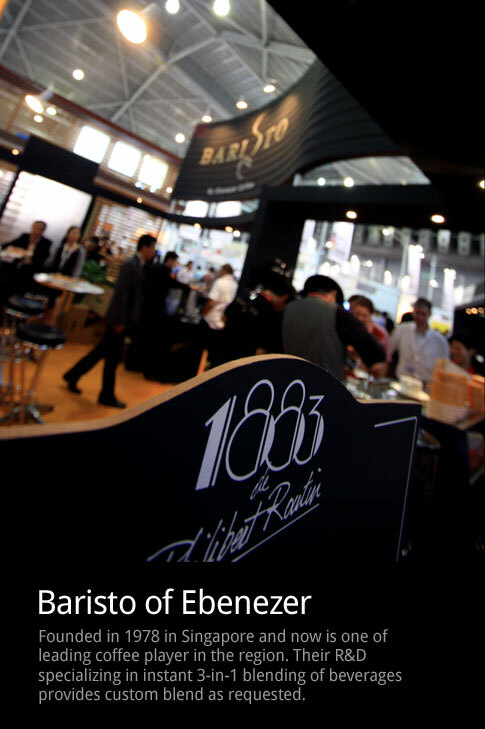 Let’s enter the hall and follow me in exploring the first booth, Ebenezer, a Singapore coffee company, which founded exactly three decades ago. 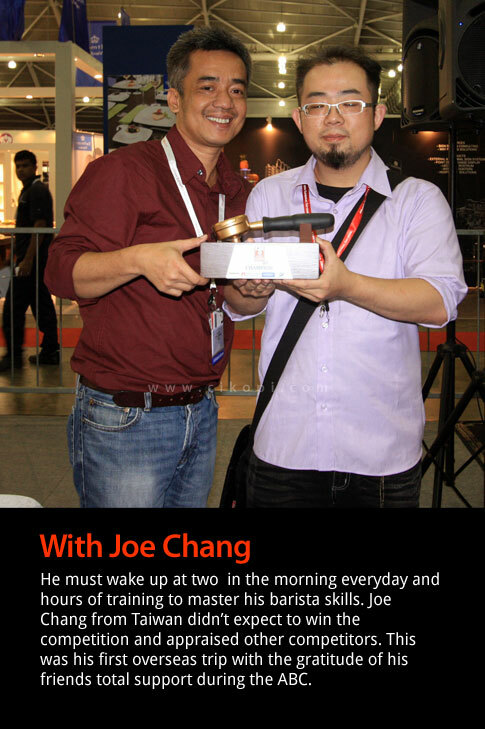 At the booth, I saw Danny Pang a Singaporean Barista who was showing his skills in latte art. 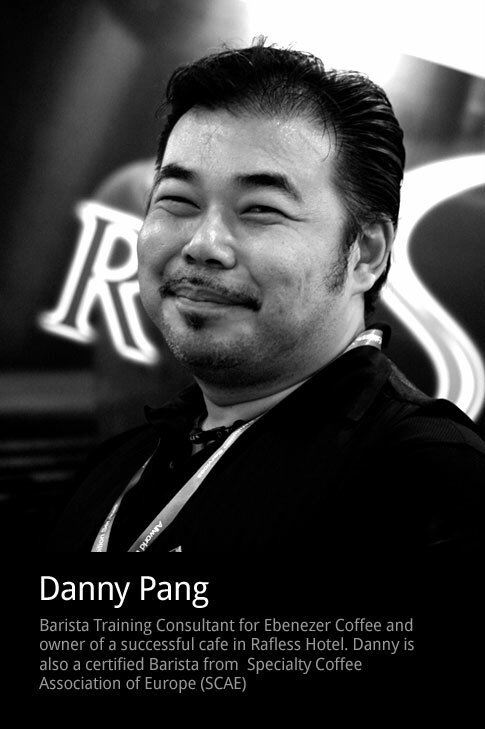 Danny has been working for Ebenezer as a barista trainer and he also owns a successful cafe business “Espresso Soul” which is located in the legendary Raffles Hotel in Singapore. “It needs perfect timing to stop milk frothing process and special technique to pour the milk to the cup” he was explaining to me about his beautiful Rosetta. 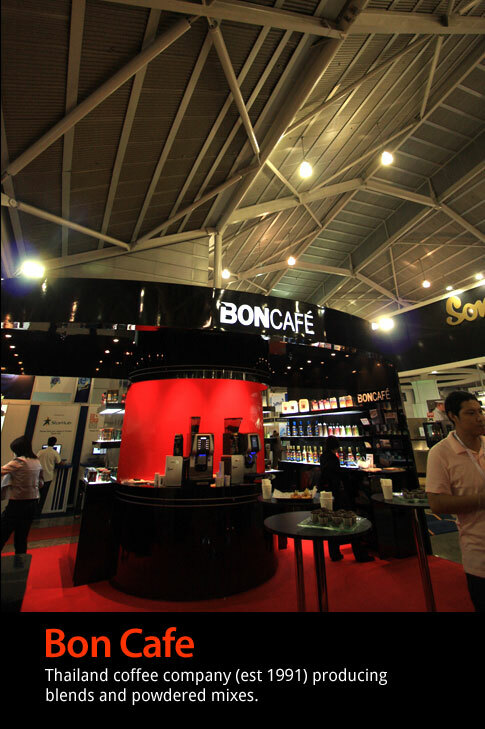 Many major coffee machines company from around the globe were here to exhibit their crème de la crème products and technology. 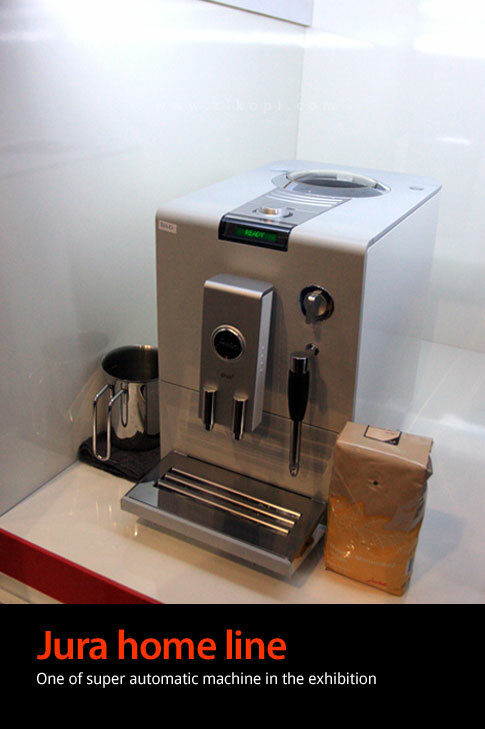 I noticed, apart from traditional espresso machines, there were many push button style coffee machines that will ease users who wants to enjoy a cup of java anytime they pleased. Using these high-tech machines was easy. 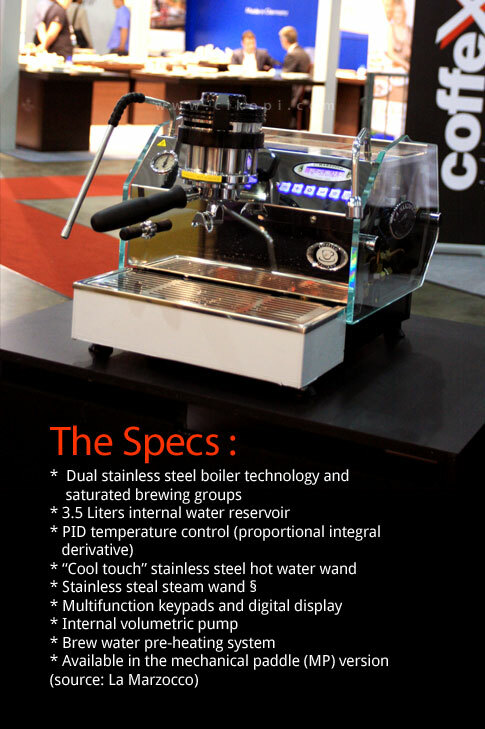 This machine is clean and produces consistently good taste, at least from what I read from their shiny brochures. 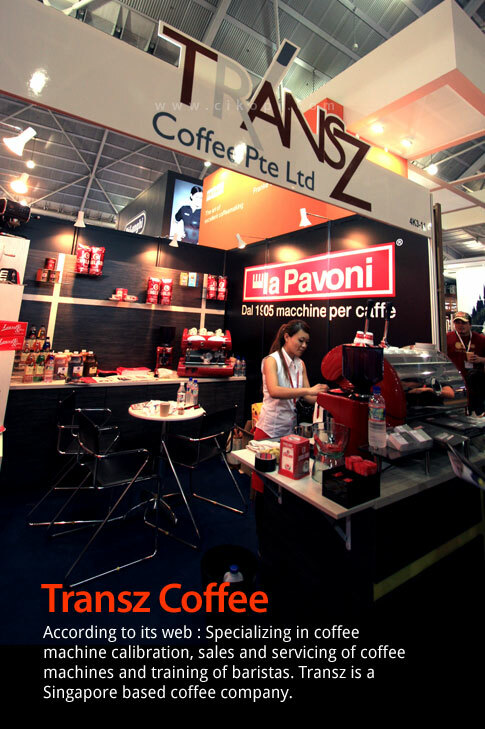 Among the producers there were Franke , Jura and Schaerer (Switzerland) Wega (Italy), and Rex Royal HGZ Coffee Machines (Germany). 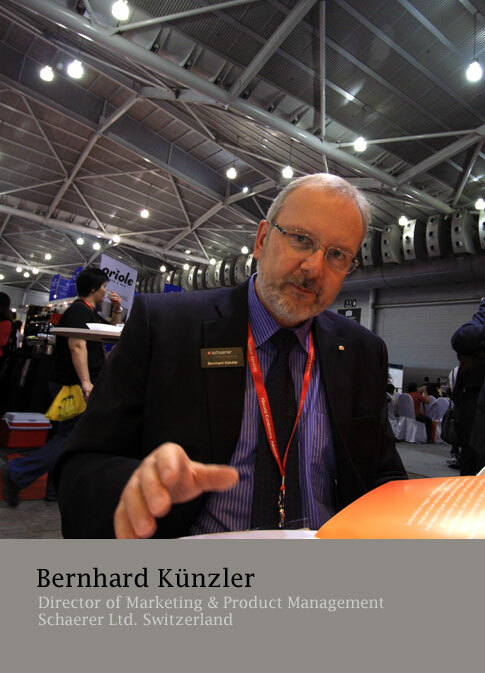 Bernhard Kunzler from Schaerer said to me about his super automatic machine ” …. 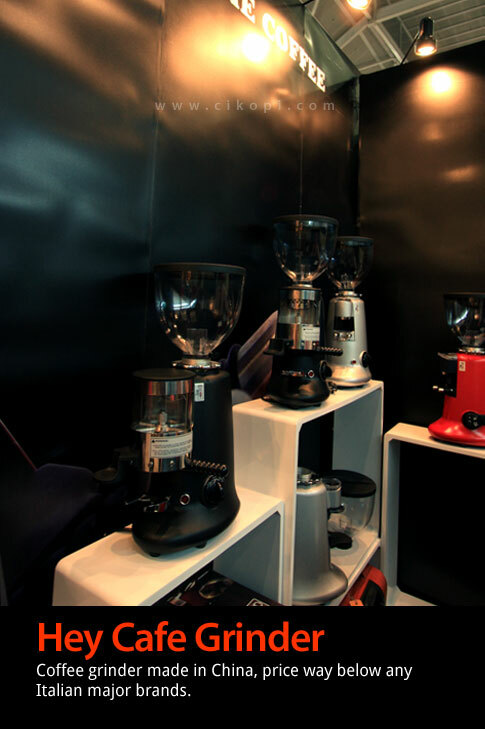 to produce a good coffee takes various factors such as proper training and certain techniques. 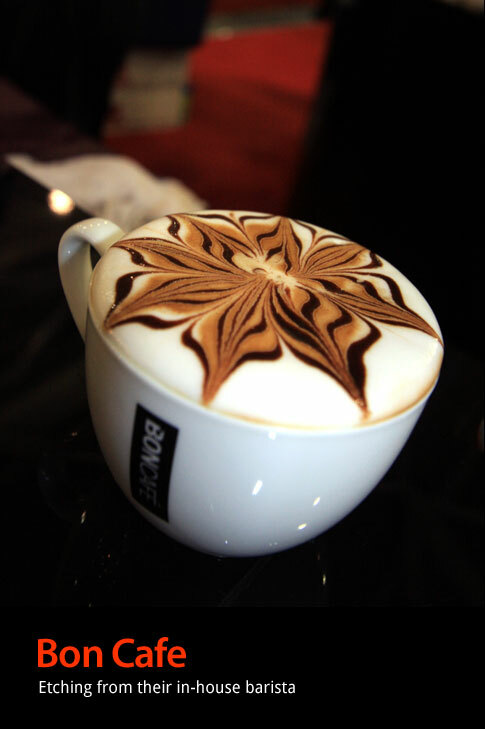 The cafe owners need to train how to froth milk, how to make a good coffee and it’s very very difficult. 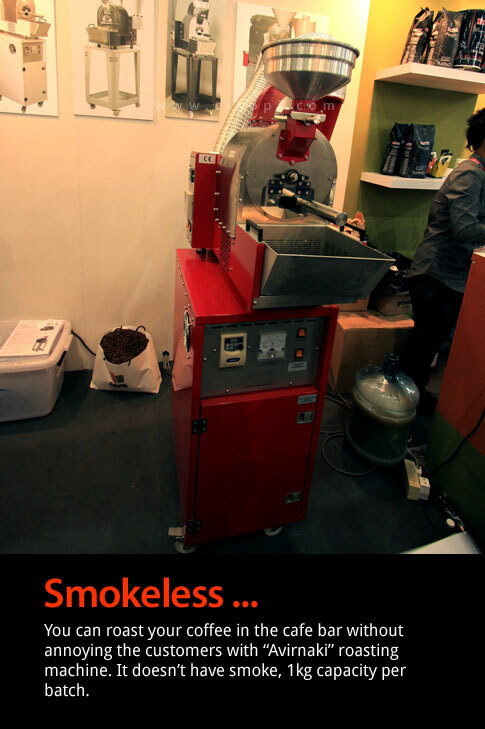 That’s why we decided to make fully automatic coffee machines”. 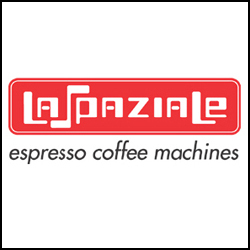 At some points I agree with Künzler’s reasons about super automatic machine considering how much money Starbucks’ had spent to train their baristas all over the world to ensure consistency in making their famous frappuccino. 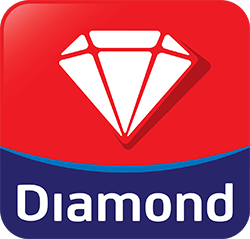 However, there are various factors to be considered such as price apart from their technology features. 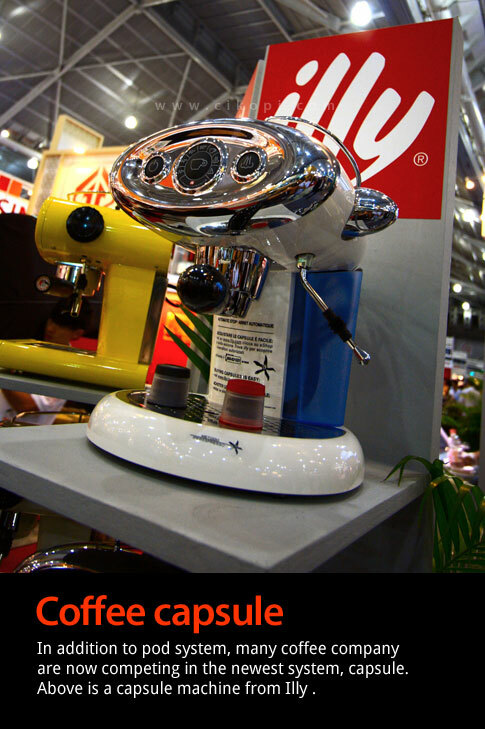 The penalty of super automatic compares to traditional machines costs at least more than US$ 5,000. 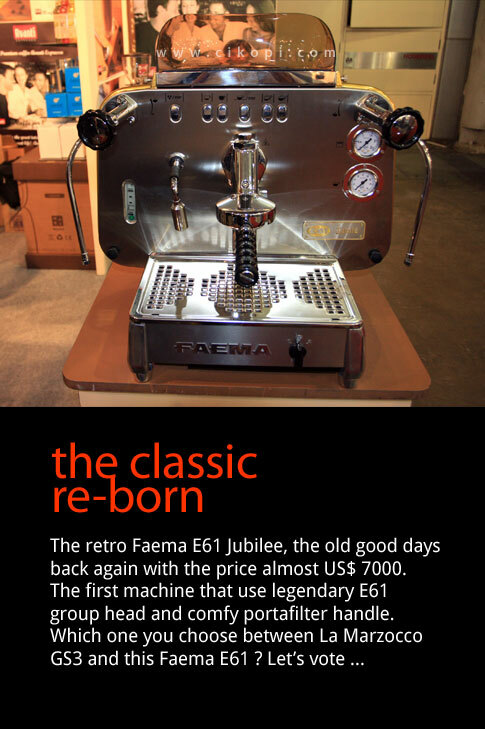 For example the price tag of Coffee Art from Schaerer is about US$ 12,500 and Faema E61 Jubilee is about US$ 8,500. Whatever you choose, it’s your choice, not mine. 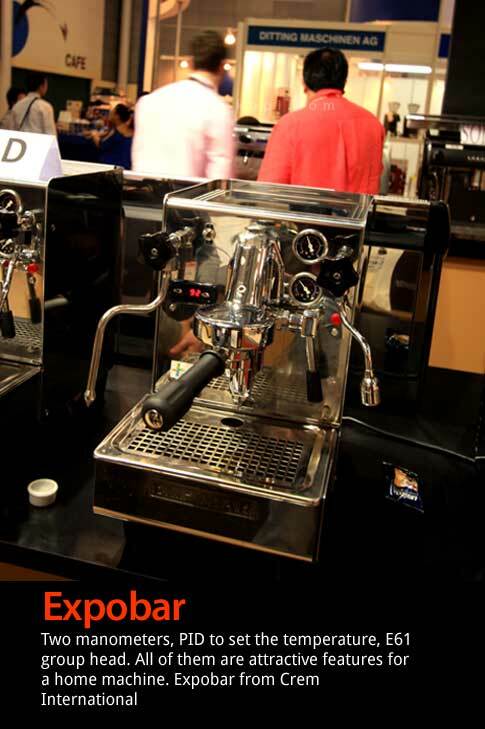 Apparently you will need to train the staff to operate the traditional machine, but I think there is a romantic value to see baristas in action behind the bar. Different people have different needs. 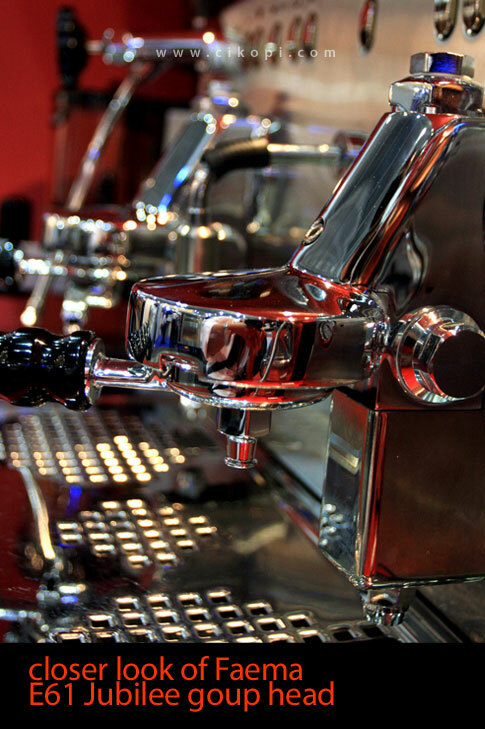 I heard many cases when a cafe must temporarily halt the business when their espresso machine suddenly broken. 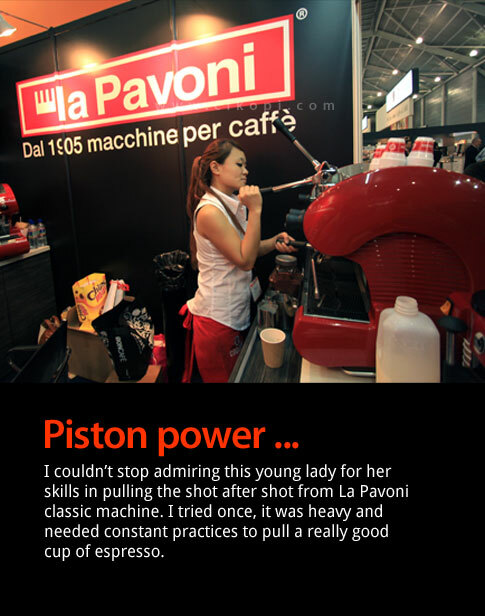 Cleaning the espresso machine perhaps the most forgotten part and many cafe owner easily hand over the problem to the mercy of technicians. 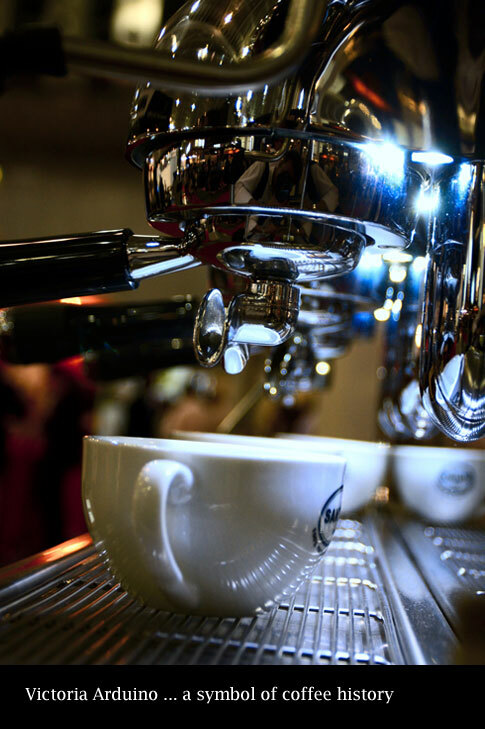 Strange but true, that many barista who happen friends of mine are not familiar with “back wash” or descaling terms and continuously torture their machine day and night without proper maintenance. I am not entirely blame the barista, perhaps some salespersons were not keen enough to provide adequate training about the importance of maintenance. 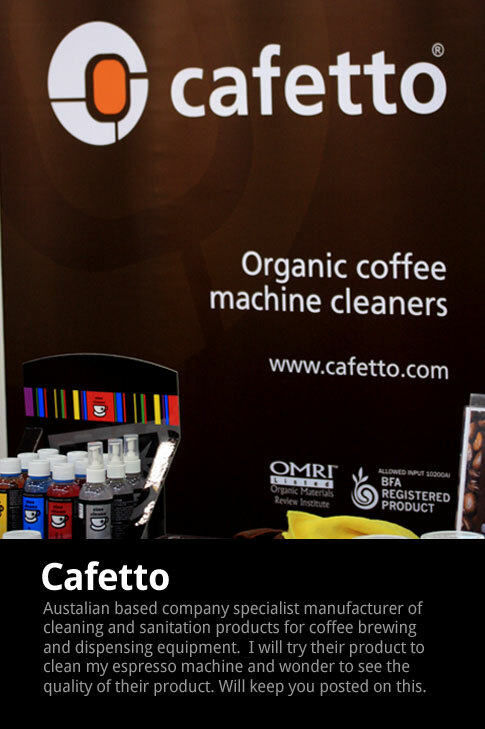 I will be trying Cafetto to backwash my espresso machine and would like to see the result in my next next post. 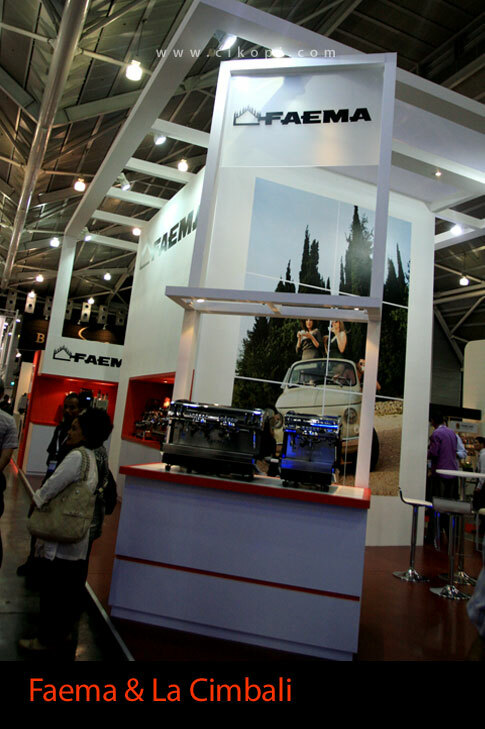 I went straight to various espresso manufacturer and my eyes were busy looking some prominent brands such as Victoria Arduino, which has acquired by Nouva Simonelli, Rancilio, Cimbali/Faema, Elektra, and many more. While I was amazed with the new model of Victoria Arduino with attractive lighting behind the group head, unfortunately they were no classical model like Elektra Bell Epoque. 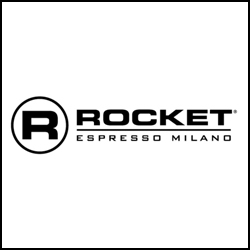 This company was founded in 1905 as one of the oldest espresso machine company and Italian Post Office dedicated a special stamp using one their product in 1920. Above picture are their latest model modern with light behind the group heads. Price tag, more than 10.000 US$, not for my home apparently :). 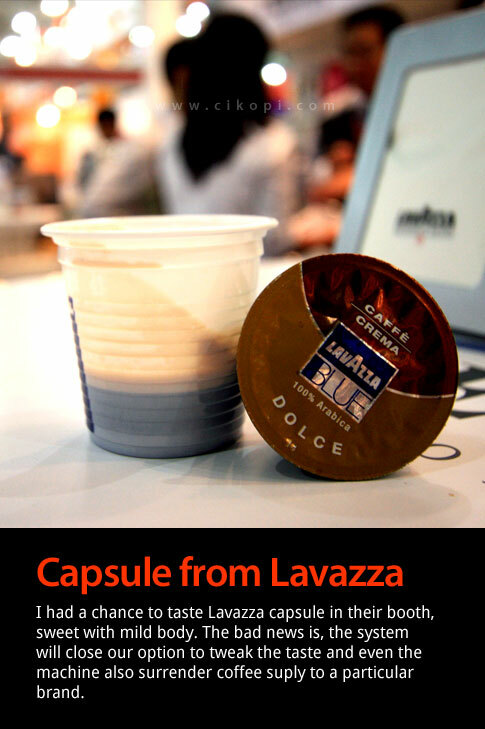 After coffee pod, I saw capsule brewing method in various booths including two biggest coffee producer Illy and Lavazza. 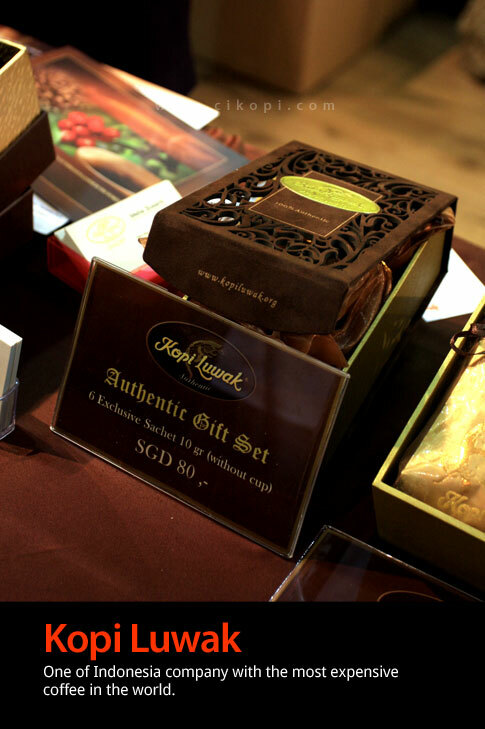 They are practical, easy to use, quite aromatic flavor and good taste too and some people might favor the taste. 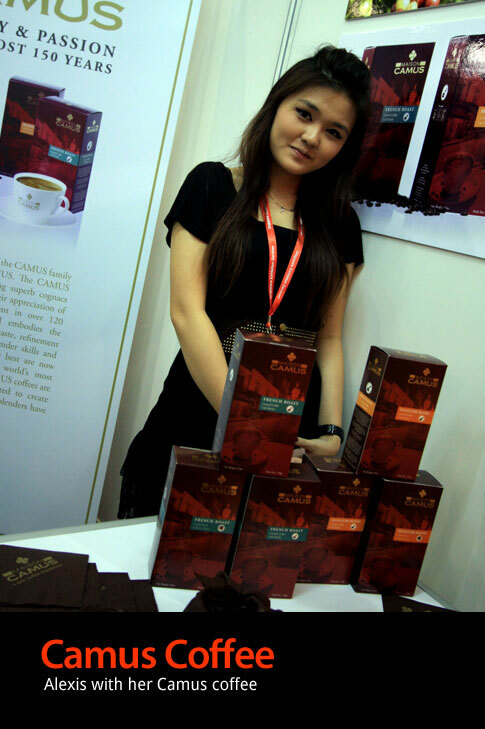 Using capsule or pod however, we need to have a commitment and only rely to very limited suppliers. 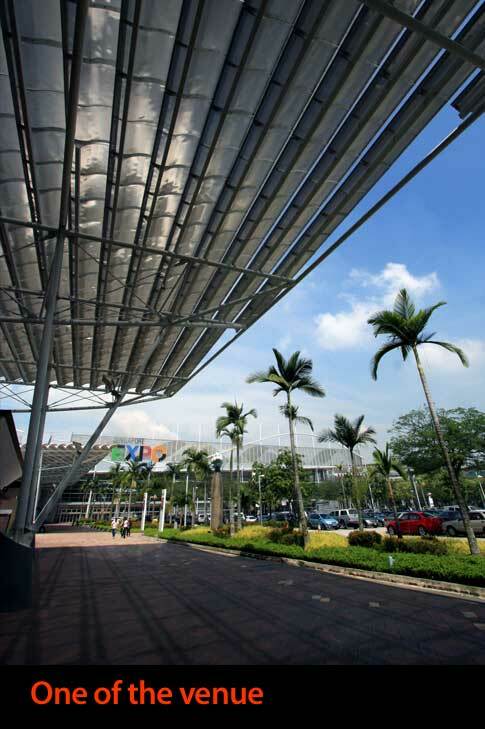 It is a close option system with no opportunity to make any modification, let alone the environmental issue due to the waste. 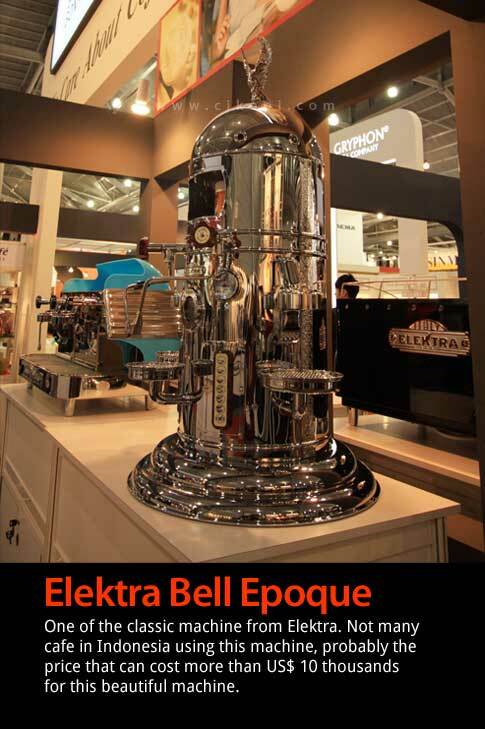 Like jazz, coffee too sometimes need improvisation and tweaks to produce the harmonious taste and traditional machines offer such opportunity. Enough chit-chat and now over to you as pictures can speaks louder than my words. PAK Tony, jika memungkinkan inform dong kalo mau meliput keluar…. Biar kalo ada pengunjung blog yg mau bareng bisa koordinasi. 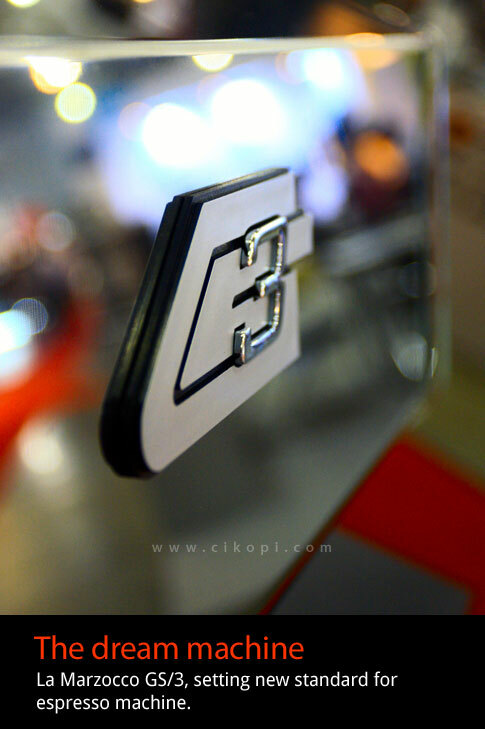 sempat dapet brosurnya aja seh…. 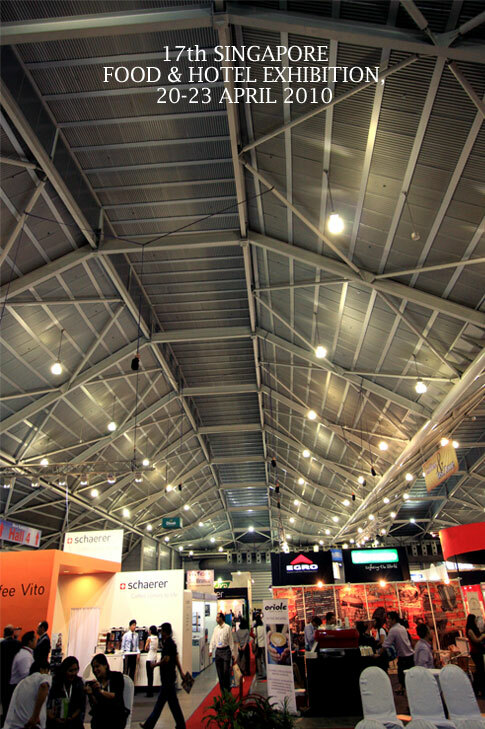 suatu hari nanti harus berangkat sendiri…. 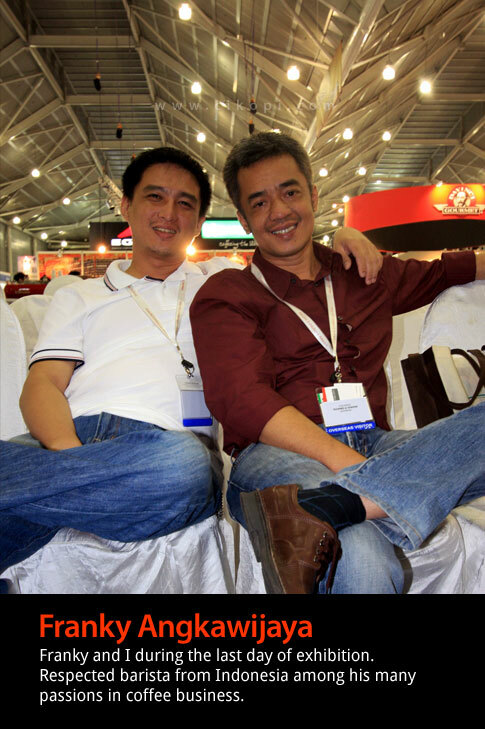 of course GS 3 lah pakcik..
Asia Barista Championship 2010 This is ECM, period.